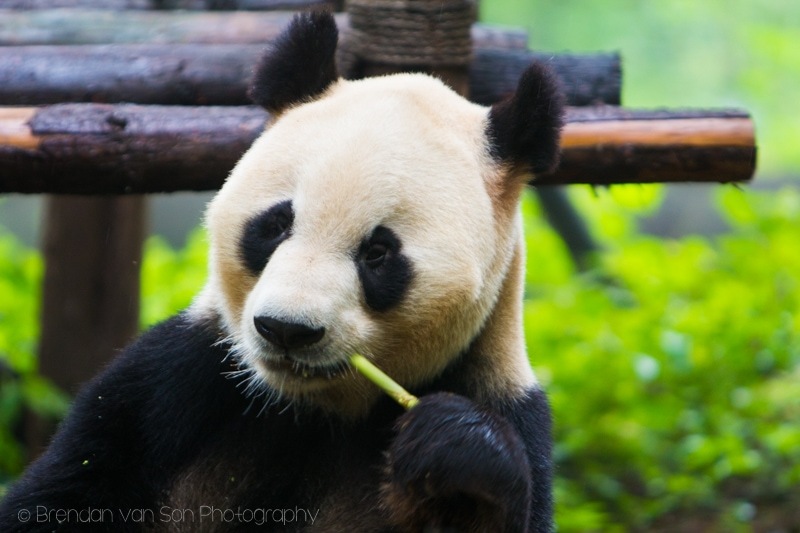 Seriously, how could you visit Sichuan Province and not go and see the pandas somewhere? 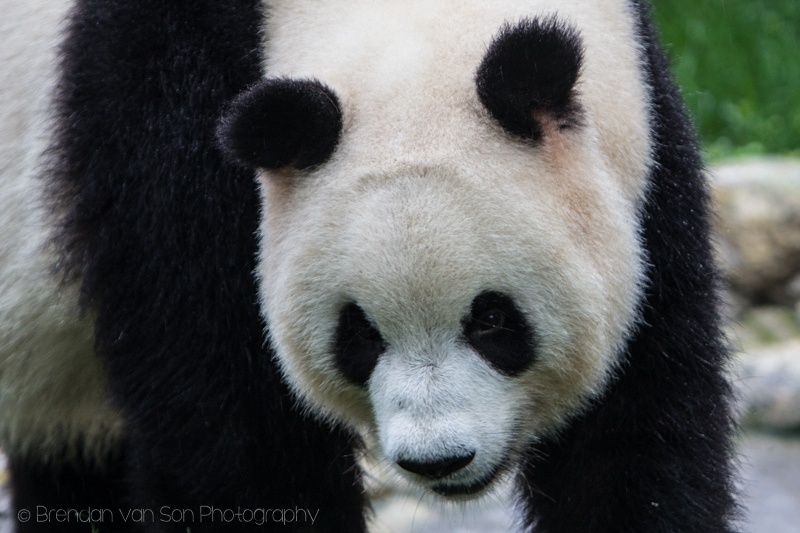 Of course, over 80% of the world’s remaining pandas live in China’s Sichuan Province. Unfortunately, a massive percentage of the panda bears that are still living do so within some form of captivity. 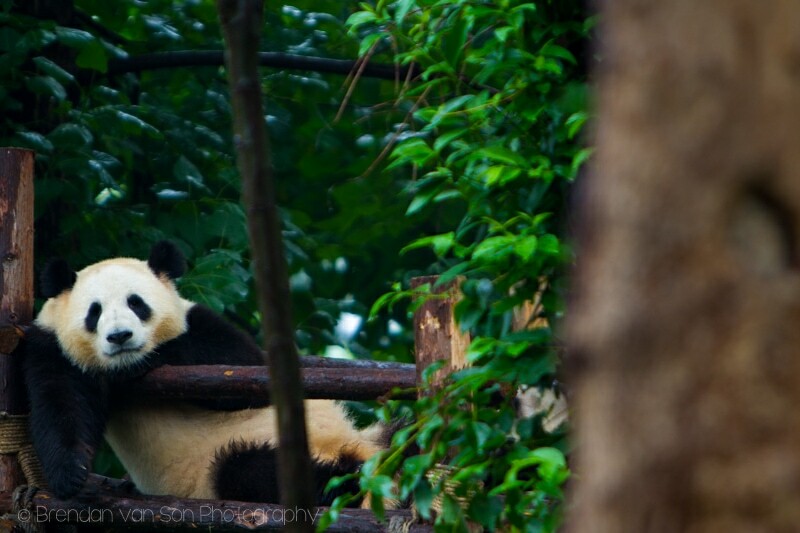 Fortunately, most of those places here in and around the city of Chengdu have the pandas there for the right reasons. 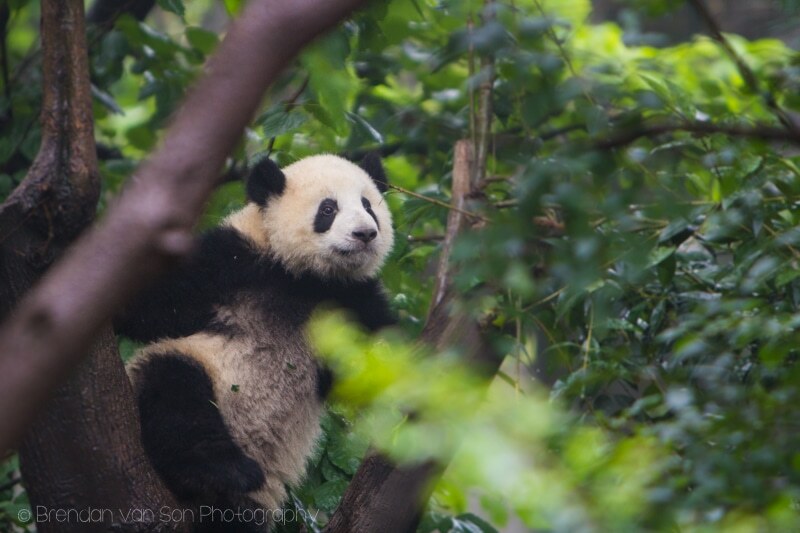 I’ll likely also head out of Chengdu to see one of the other sanctuaries at some point. 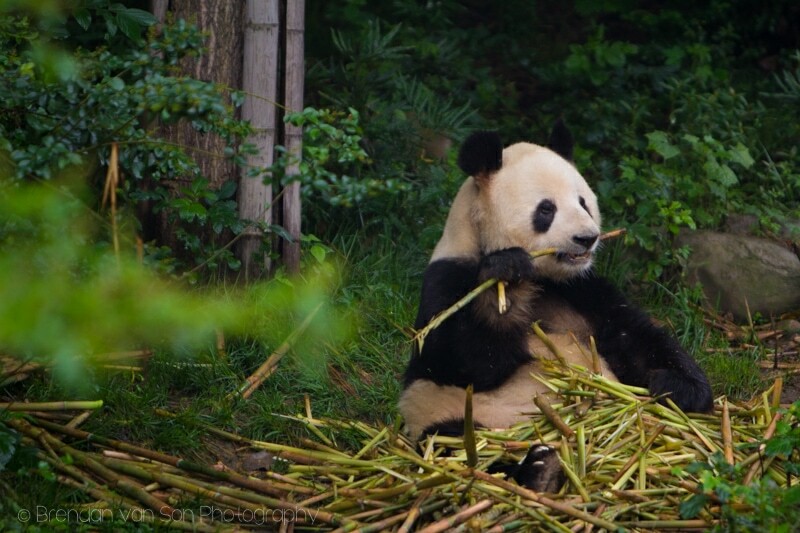 But, basically, as soon as we got to Chengdu we headed over to the Giant Panda Breeding Research Center which was a good experience despite not having the greatest weather. Anyways, I also took this opportunity to try to give some photography tips on how to take pictures in a zoo. The panda center opens visitors at 8:30am, officially. However, there are rumors that it actually opens at 8am sharp in the summer months. It’s probably more important to get to the center early than you think. Crowds of people, including large tour groups of extremely loud Chinese people, start coming in around 9:30. Believe me, all sense of peace, nature, and solitude leave as soon as these groups start coming in. Plus, the animal feedings start at about 9am and the animals spend the majority of the rest of the time sleeping. 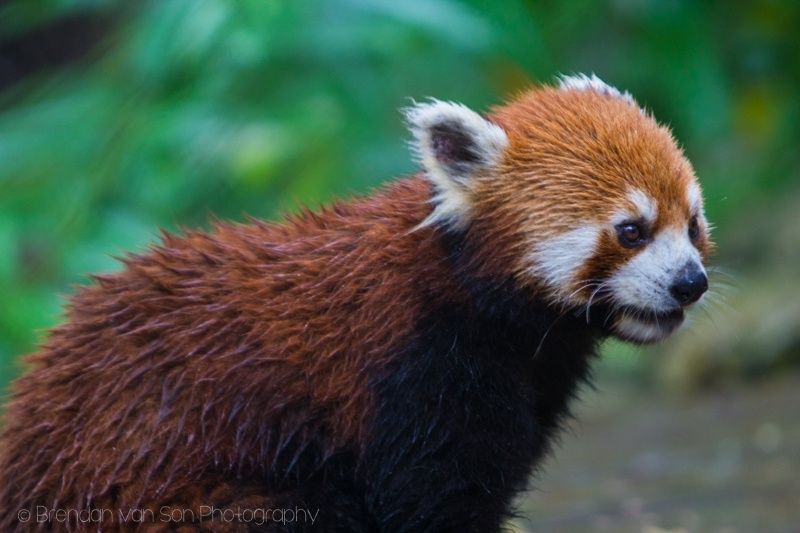 Not only are there Giant Pandas at the center, but also Red Pandas. There are a variety of enclosures, all which are very good(! ), and separate the juveniles from the adults. 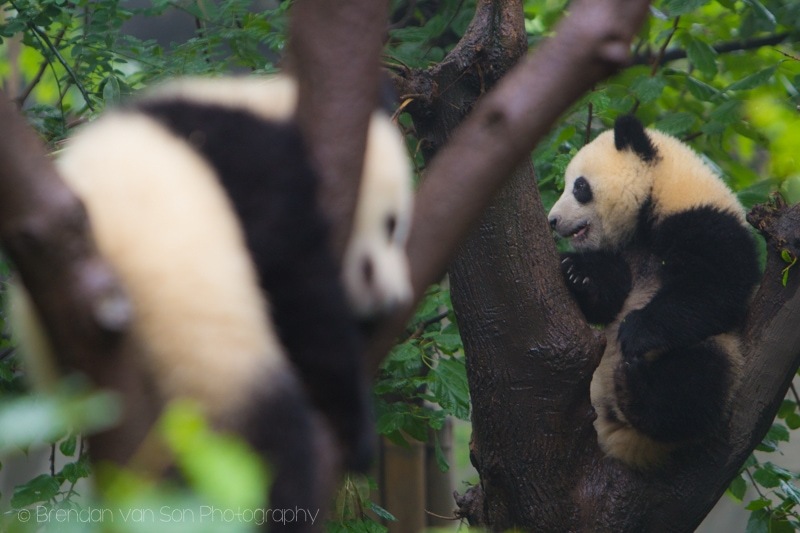 Moreover, there are also a couple spots where the baby pandas can be seen if you’re there at the right time of year. 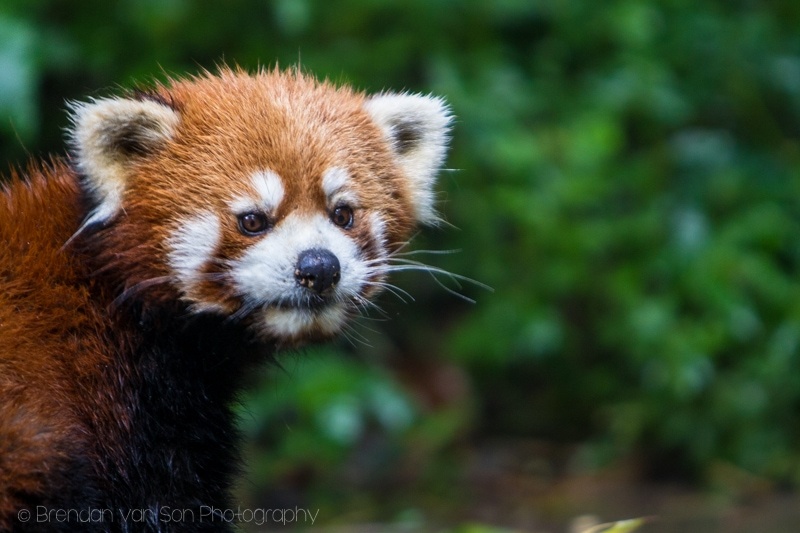 In total, there are 4 or 5 giant panda enclosures and 2 red panda enclosures. 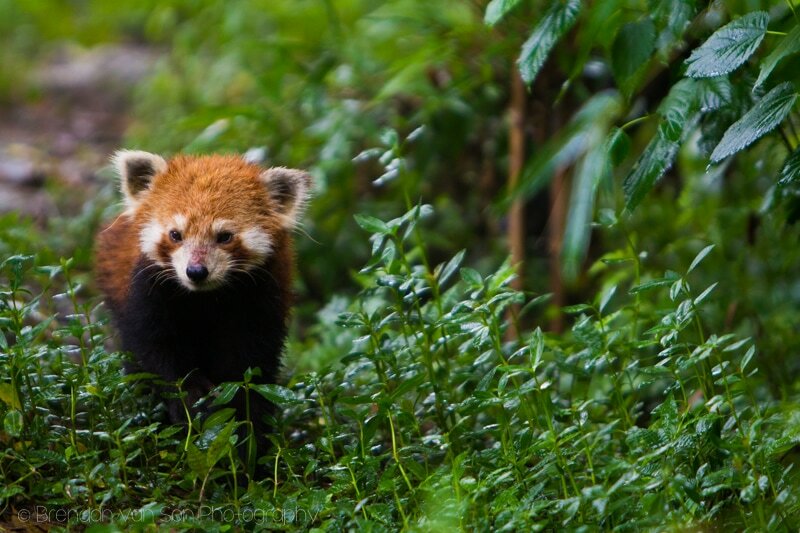 Be warned, the red pandas have no problem walking down the footpaths and aren’t completely separate from the people. Keep your distance. Pandas give birth in the fall months, so if you’re around in October-November you might get to see some of the babies. These guys are so cute. The cost of entry to the center is 58 Yuan for foreigners. If you’re a student, or a child, there are discounts available. The panda center is actually a couple kilometers out of town, but is fairly easy to get to and there are a number of ways to arrive. Taxi: Definitely the easiest way to get here. Some taxis will ask for a fixed price of 60Yuan to take you here. However, if you can get one on the meter, it shouldn’t cost more than 40-50Yuan. From most parts of town it’ll take about 20-30 minutes to get there. Public Bus: It’s a pain in the public bus from most parts of the city. From Traffic Inn Hostel, for example, you need to take two separate buses and it’ll likely take you nearly 2 hours each way. Although it’ll only cost you 2 Yuan each way, I’d rather spend the money and get there quick. This is the first Giant Panda we saw. I was amazed by how quickly and efficiently they eat. I guess you have to when you choose to eat such a low-energy meal as your one and only source of food. 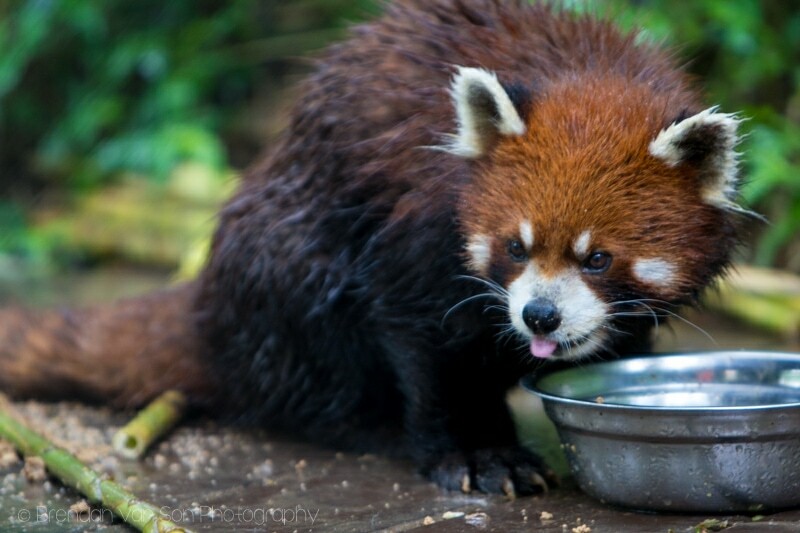 Red Panda at the dinner table. This giant panda in the foreground was passed out on tree. I wish I could sleep like that. 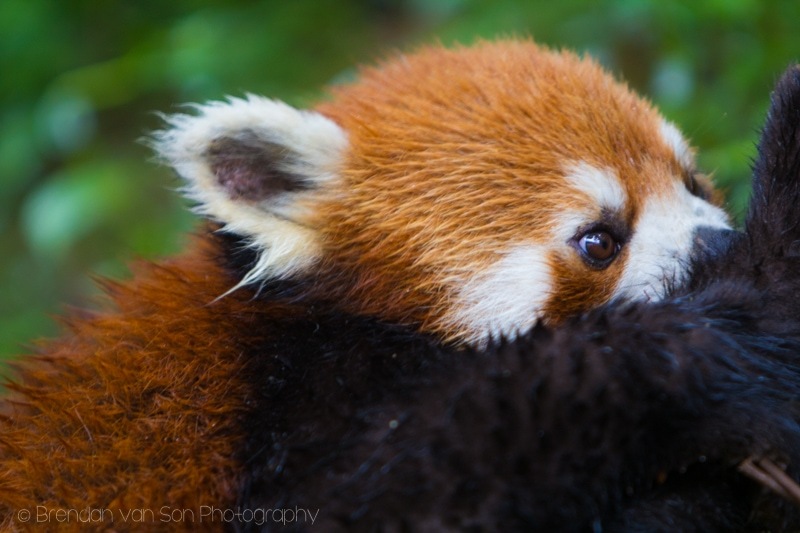 The red pandas spent most of their time eating and it was a bit hard to get a good shot. Some patience got me most photos, luck got me this one. I just curled up in a ball right next to me. I think this is my favourite Giant Panda photo from the the center. Loved how the colour lines came out. If you go to the panda center, go at feeding times so the pandas are out in full view. Love how they can just sleep anywhere. I think we were there at the same time! My blog will cover it soon as possible. Nice photos. So adorable!!! I would love to go to China one day to see them – these are beautiful photos!